Foreign capital inflow to Nigeria is expected to reach $724.41 million in 12 months’ time, according to Trade Economics analysts, which also projected that in the long-term, foreign capital importation into the country would trend around $1.160 billion in 2020, accthe result of its econometric models. Although, the capital inflow for the third quarter, which ended September 30, 2018, has yet to be released by the relevant government agencies, Trade Economics, which provides its users with accurate information for 232 countries including historical data for 300 indicators, projected it to be around $ 948 million. The projections were displayed on its website. 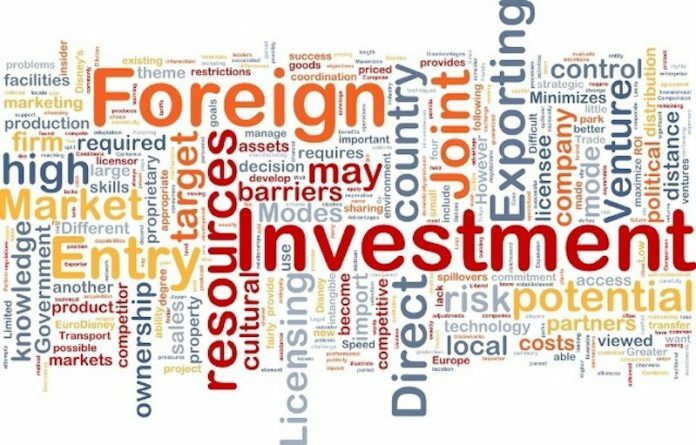 Capital importation has three main components, which include Foreign Direct Investment (FDI), Portfolio and other investments. The data by Trade Economics does not, however, indicate the component that is expected in the high inflow of capital in the forecast and the sectors they are expected to be directed. The inflow in the second quarter of the year rose by $ 435.64 million. It had averaged $1. 279. billion from 2007 until 2018, reaching an all high of $3. 084 billion first quarter of 2012 and a record low of $435.64 million in the second quarter of 2018. The country had in the first quarter of the year, which ended March 31, 2018, received foreign capital totaling $6. 303.63 billion, which is a year-on-year increase 594 per cent and 17.11 per cent growth over the figure registered in the previous quarter. According to National Bureau of Statistics (NBS), since second quarter of 2017, Portfolio Investment has been expanding faster than the other two categories ,remaining the largest component of the capital imported into the first quarter of 2018 , at 35 per cent of total capital imported but now on dwindling side. The other components, FDI and other investments accounted for 3.91 per cent and 23.67 per cent, respectively, of the total capital imported into the country in the first quarter of 2018. In 2017, Nigeria recorded an inflow of $12.2 billion, representing an increase of $7,104.4 billion or 138.7 per cent compared with the figure recorded in 2016. This is a far cry to the volume of foreign capital that has been projected by the government for the economic development of the country. It is believed that the country needs, at least, $16billion in foreign capital inflow annually. “Foreign direct investment is an indispensable element in economic development and growth, which is the reason the Federal Government has been making efforts to make the country attractive for foreign capital,” said a senior official of the Ministry of Trade and Investment, who does not want his name in the print because he does not have the capacity to speak for the ministry. He said the government’s effort for FDI drive is born out of the belief that huge inflow of foreign capital into the country would help to address the lingering socioeconomic problems in the country and bring about sustainable growth, while improving the quality of lives of the citizenry. He regretted that the inflow of foreign capitals into the country has not been encouraging, a situation, which he said was induced by the poor investment climate in Nigeria, intensified by the growing insecurity and infrastructure deficit, among others, which he said have made the country unattractive for foreign investors, vitiating the policy objective making the country an FDI destination. An investment analyst and Managing Consultant of BIC Consultancy Services, Lagos, Dr Boniface Chizea, who spoke to THISDAY said “I am surprised as I thought that the issue of FDI flows nose diving has been with us for some time now. Continuing he said that “the Nigeria investment environment is relatively high risk which has been exacerbated with the recent developments in the economy particularly the unfortunate herders/farmers imbroglio, the Boko Harm insurrection and the spate of abductions which have all resulted to an unacceptable level of loss of human life. Chizea said “for you to sustain FDI flows you must enjoy macroeconomic stability so that potential investors can have a long term view of the risk factor in your economy. “ Where you do not have such an environment it is unrealistic to be expecting robust FDI flows and that is the case now with Nigeria. “ Even when you are able to achieve macroeconomic stability, your economic environment has to be competitive. “ Issues pertaining to availability of requisite infrastructure come into consideration; power supply, roads, water, security of life and property and of course your comparative rate of inflation and sanctity of contracts. “And even the level of corruption in the country which is a cost factor is also of important consideration. When you review these issues objectively you would agree that the Nigerian economy is placed in a disadvantaged position with regard to attracting DFIs. “The DFIs you now find in the country are largely from investors already captive as they are already operating in the country and of necessity would have to invest as it is required to sustain their operation. “The impact of lack of commensurate level of flows of FDIs in our Country is direct as it constrains the level of growth we are able to attain and impact the quality of life of the citizenry resulting to the unacceptable designation of Nigeria as the poverty capital of the world displacing Bangladesh. “And to improve on this situation we must have continuity of policy. “ We must formulate and determinedly implement development plans such as the Economic Growth and Expansion Program(EGEP) currently being implemented in the country. 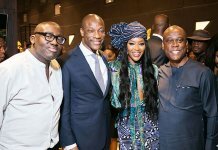 On the rumour that some foreign companies are operating in Nigeria without capital importation but are sourcing capital locally to the detriment of Nigeria, the Director General of the Manufacturers Association of Nigeria (MAN), Segun Ajayi-Kadir, who spoke to ThisDay in a telephone interview, said it was uncharitable and illegal for any foreign firm to the country to source fund locally ,without bring in the foreign capital it promised. Ajayi-Kadir blamed the banks, which he said, give preference to these foreign companies in their disbursement of credit over the indigenous companies, without bothering to find out their volume of investments in the country. 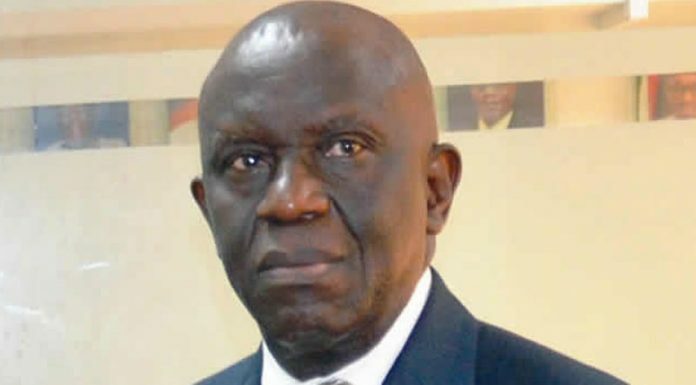 The MAN Director General called for the Central Bank of Nigeria’s intervention to stem this illegality, adding that many indigenous companies in Nigeria are being starved of funds, which the banks gleefully lend to the foreign firms. Comenting on this Dr Chizea said “when companies enter the country they are supposed to show evidence of capital importation otherwise how do they find the funds to invest? It is not possible for any operator to come into the country and be able to attract investment funds. “You must have track record to evidence your capability for that to happen. And this is the case not minding whether the source of such funding is the bank or the Capital Market. “But sometimes unpatriotic elements in the country collude with foreign businesses to fake importation certificate. “But realistically we should expect for that to happen it must be for companies that are already operating in the Country that know their way around.